You bought an expensive ticket, planned your outfit and supplies, and waited in a long festival line. 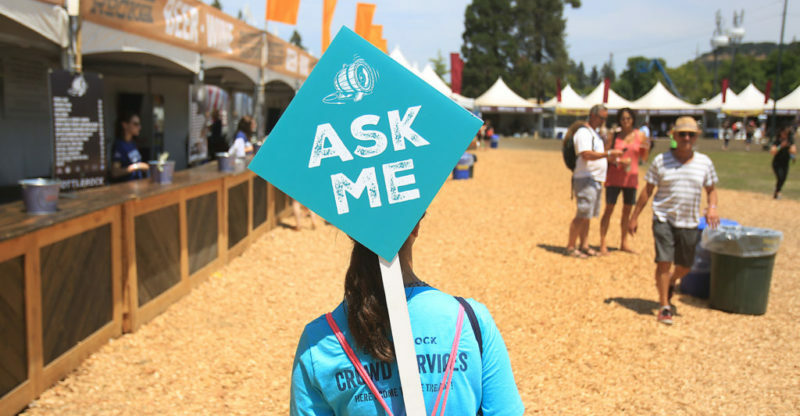 Now you find yourself on the cusp of entering BottleRock — only to be denied at the gate. Why? Because you were caught with cannabis in your bag. BottleRock Napa Valley starts today (Friday) with some 80 musical acts from Muse to the Chainsmokers to E-40. It’s a huge festival and, as you might imagine, there are rules on what you can bring into the event. California’s recreational cannabis market has been pushing new boundaries in 2018. Still, cannabis (and outside alcohol) are strictly prohibited at BottleRock. One man said his friend was denied entry after he tried (and failed) to bring weed into the festival. The punishment? The man tweeted that his friend had to toss the cannabis, then wait through the festival line again. Just got in to #BottleRock and my friend Dan (behind me in line) got busted trying to sneak in weed and got thrown out. I have no idea what to do now but it was hilarious. Yes, recreational and medical cannabis are banned. Will we see those rules change in future years? Will the festival bring in licensed cannabis vendors next year? That all remains to be seen. See all of the #BottleRock 2018 coverage on PressDemocrat.com.